The Pallavas ruled the area of Andhra pradesh, Tamilnadu and Karnataka from 275 BCE to 882 BCE with Kanchipuram as their capital. They built architectural temple Mahabalipuram and created the modern form Brahmi script which influenced the genesis of almost all Southeast Asian scripts. Thailand, Indonasia, Burma and other Southeast Asian Scripts are evolved from Brahmi script which was the Pallavas creation. The Marathas were a Hindu warrior group who established an empire that existed from 1674 to 1818 in the present day Maharashtra that rose to prominence by establishing ‘Hindavi Swarajya’.They ended the Mughal rule in India and united India after creating biggest empire like Great Ashoka.Thanjavur was their capital. They ruled almost the whole India except Andhra and tamil nadu and a part of kerala. They are known to be fierce warriors who are said to be devoted Hindus and never ate meat. Some of the famous rulers include Chathrapathi Sivaji, Baji Rao 1 and Rajaram Chhatrapati. The Vijayanagara Empire lasted for 3 centuries from 1336 to 1660 before losing it to the Deccan sultanates. This period is said to be the golden period for the Telugu and Kannada cultures as they have established many monuments across South India and enabled fine arts and literature to reach new heights in Kannada,Telugu, Tamil and Sanskrit. Carnatic music evolved into its current form. They ruled the whole south India with Vijayanagara as their capital city. Srikrishna Devaraya was the famous king of Vijayanagara empire. He was a devotee of Lord Venkateshwara and the Diamonds and Gold we see on lord Balaji in Tirumala are mostly his donations. It was known that Vijayanagara kingdom was equal to the rule of Lord Sri ram where people where happy and prosperous. He was called as “Kannada Rajya Rama Ramana” (Lord of the Kannada empire) and Andhra Bhoja. This Kingdom lasted for 7 centuries from early 1200s to 1947 surviving every foreign invasion. They are said to be excellent negotiators and tacticians. They formed relations with all their surrounding kingdoms and played their cards wisely. Their capital changed over time but they mainly ruled in the areas surrounding Kochin. The Kakatiyas ruled from 1083 to 1323 with orugallu (Warangal) as their capital extending to the whole of Andhra along with a part of Telangana, Karnataka and Tamilnadu. The kakatiya kings are said to be given low importance to Caste system as a social identifier, anyone, regardless of birth, could use the nayaka title to denote warrior status and the inscriptions suggest that people were not bound to an occupation by birth. This helped them flourish in war and arts alike. 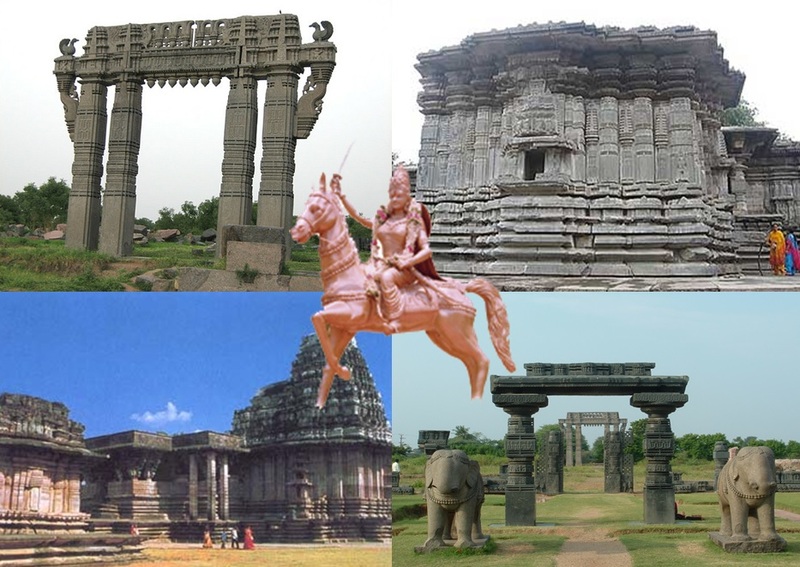 The Warangal Fort, Thousand Pillar temple and the famous Kakatiya Toranam are built by kakatiya legacy. Rani Rudramadevi, the famous queen of the Kakatiya dynasty set path for the Women to lead kingdoms in India as early as 12th century. “Gaja” in Oriya means elephant and “Pati” means master. As such, Gajapati etymologically means a king with an army of elephants. The literature Oriya flourished during this period . They ruled from Mukhalingam of Srikakulam district of Andhra Pradesh and later moved their Capital to Cuttack. Religious leader Ramanujacharya had a great influence on the Raja Choda Ganga Deva, who renovated the Puri Jagannath Temple and another king from the dynasty, Narasimha Deva built the Sun Temple at Konark which are both Archaeological wonders. The Pandyan dynasty was an ancient Tamil dynasty, one of the three Tamil dynasties, the other two being the Chola and the Chera. They were descendents of ancient Mahabharata Pandya King and they have survived till the early British conquest. They controlled the pearl fisheries along the South Indian coast, between Sri Lanka and India, which produced some of the finest pearls in the known ancient world. The Chola dynasty was one of the longest-ruling dynasties in the history of southern India spanning between 300s BCE–1279 CE. Together with the Chera and Pandya dynasties, the Cholas formed the three main Tamil dynasties of Iron Age India, who were collectively known as the Three Crowned Kings. They mainly ruled the area between the Kaveri and Tungabhadra rivers. Their rule extended out of india when they successfully invaded cities of Srivijaya in Malaysia, Indonesia and Southern Thailand. The Satavahana Empire also known as Andhra kingdom was an Indian dynasty based from Amaravati in Andhra Pradesh which is now back as Capital of Andhra Pradesh State. This dynasty extended to Junnar and Prathisthan in Maharashtra during the later years. The territory of the empire covered much of India from 230 BCE onward. 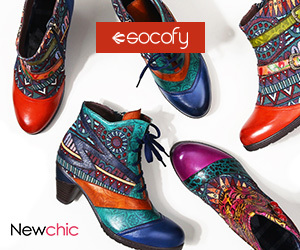 History suggests that it lasted about 450 years from 230 BCE to 22- CE. The Satavahanas are credited for establishing peace in the country, resisting the onslaught of foreigners after the decline of Mauryan Empire. The Hoysala empire was a prominent Southern Indian Kannadiga empire that ruled most of the modern-day state of Karnataka between the 10th and the 14th centuries. The empire is remembered for architectural temples like Chennakesava Temple at Belur, the Hoysaleswara Temple at Halebidu, and the Kesava Temple at Somanathapura. Magadha was a kingdom which existed right from by Vedic period was founded by King Jarasandha . It was reborn from the Gupta Kingdom. Rajgir of Bihar was the capital. The Chalukya dynasty was an Indian royal dynasty that ruled large parts of southern and central India between the 6th and the 12th centuries. They had their capital in 3 cities namely Badami and Kalyani of Karnataka and Vengi on the river of Godavari. This marks the first time a Southern India based kingdom took control and consolidated the entire region between the Kaveri and the Narmada rivers. The Kannada and Telugu literature flourished during their reign. The Maurya dynasty was the superpower of the Iron Age India which existed between 320 BC to 185 BC. It was founded by Chandragupta Maurya in pataliputra and later extended to Afghanistan. During the rule of Ashoka, the Great the kingdom managed to conquer the whole Indian sub continent and rule it as one dynasty. They were credited as the only people who could defeat King Alexander the Great. The Jain and Buddhist cultures flourished during this Kingdom. The Rajputs are a ancient dynasty that ruled a vast area of the subcontinent whic includes western, central, northern India and current eastern Pakistan. They seem to have risen to prominence from the late 6th century CE and governed the the country with Rajastan as their base. They are credited as one of the very few dynasties who were unmoved from their capital by the Muslim sultanate. The Nanda dynasty originated from the region of Magadha in ancient India during the 4th century BC and lasted between 345–321 BCE. At its greatest extent, the empire ruled by the Nanda Dynasty extended from Bengal in the east, to Punjab in the west and as far south as the Vindhya mountains. The rulers of this dynasty were famed for the great wealth which they accumulated. The Nanda Empire was later conquered by Chandragupta Maurya, who founded the Maurya Empire. The Nandas are described as the first empire builders in the recorded history of India. They inherited the large kingdom of Magadha and expanded it to yet more distant frontiers. To achieve this objective they built a vast army, consisting of 200,000 infantry, 20,000 cavalry, 2,000 war chariots and 3,000 war elephants. The Gupta Empire which existed at its zenith from approximately 320 to 550 CE and covered much of the Indian Subcontinent. This period is called the Golden Age of India and was marked by extensive inventions and discoveries in science, technology, engineering, art, dialectic, literature, logic, mathematics, astronomy, religion, and philosophy that crystallized the elements of Hindu culture. Chandra Gupta I, Samudra Gupta, and Chandra Gupta II were the most notable rulers of the Gupta dynasty. The Gupta period produced scholars such as Kalidasa, Aryabhata, Varahamihira, Vishnu Sharma and Vatsyayana who made great advancements in many academic fields. Vatsayana of this kingdom wrote the world famous “Kama Sutra“. One of the greatest inventions ever ” 0 “ was invented by Aryabhata in their period as Shoonya.